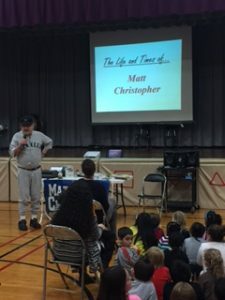 The Person: Dale Christopher is the son of the prolific author Matt Christopher who has written well over 130 sports stories for kids. 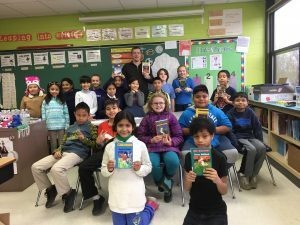 Dale is a New York State Certified Teacher and a member of the New York State Reading Association and the Children’s Literature Connection. 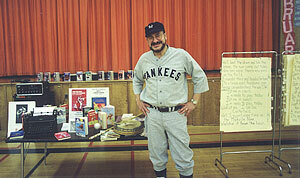 He is a performer for the Arts in Education programs in New York State BOCES areas. 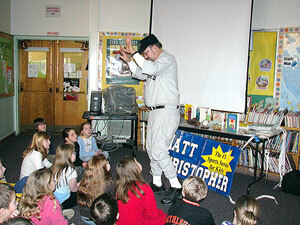 He has performed in schools across the country. 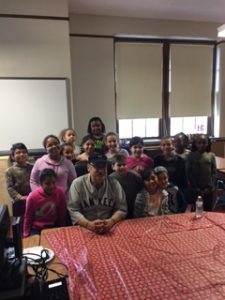 He was featured on National Public Radio’s show “All in the Game”, and ESPN Radio in St. Louis, MO, and was on ABC in Albany, NY and a visiting author at the I-READ Conference in Indianapolis, Indiana. 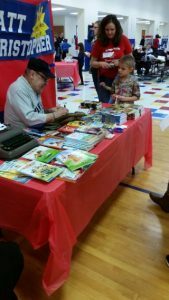 Dale has been touring the country encouraging readers and nonreaders to read, through his Dad’s books. He is listed in the Little-Brown Children’s Book Publishing Company, Author’s and Illustrators catalogue. 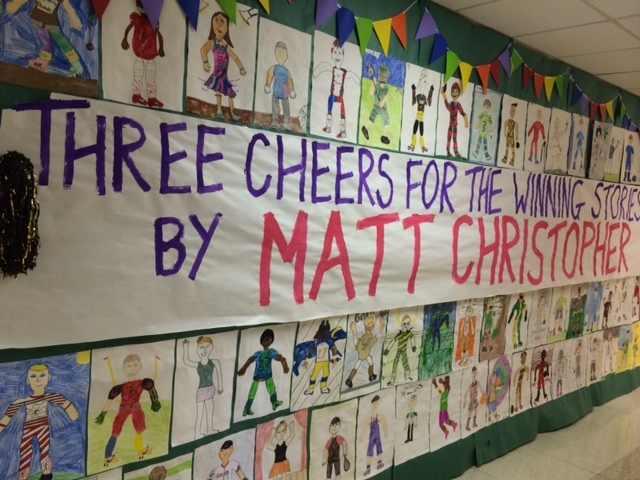 In October 2004, Dale’s first book Behind the Desk With… Matt Christopher, was published. (Little Brown). A biography of his Dad. For a classroom set of books for 50% off the price, CLICK HERE. The Program: Dale’s stories include periods of his Dad’s life and how he started writing. 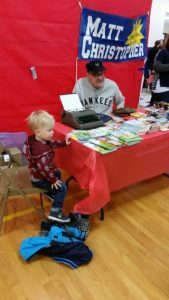 He also talks about the process of writing and his own involvement working with his Dad. 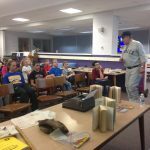 Dale talks emphasize his father’s life values and the many joys of reading. 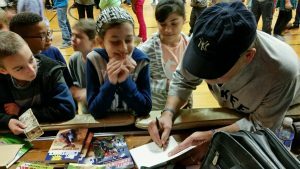 He brings precious mementos to share with his audience and wears a vintage 1938 New York Yankee uniform, depicting the era that his Dad played for a semiprofessional New York Yankees team. 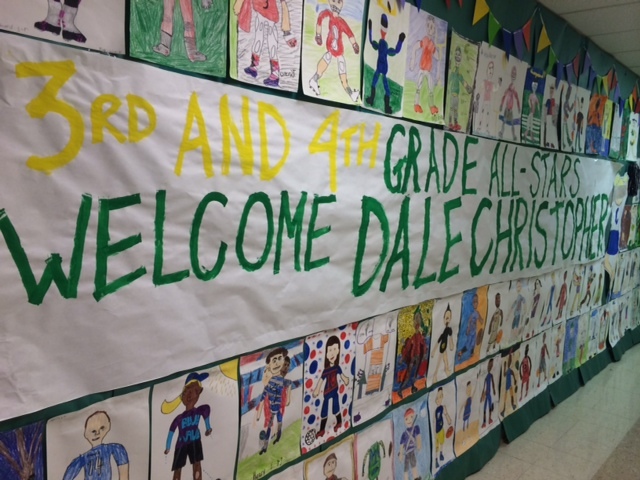 Dale will talk to students from “K” through Middle School (his best audiences are 3rd grade and above) and has even talked to high school students and adult civic groups. His talks last approximately 60 minutes, which includes 10 to 15 minutes for questions and answers. 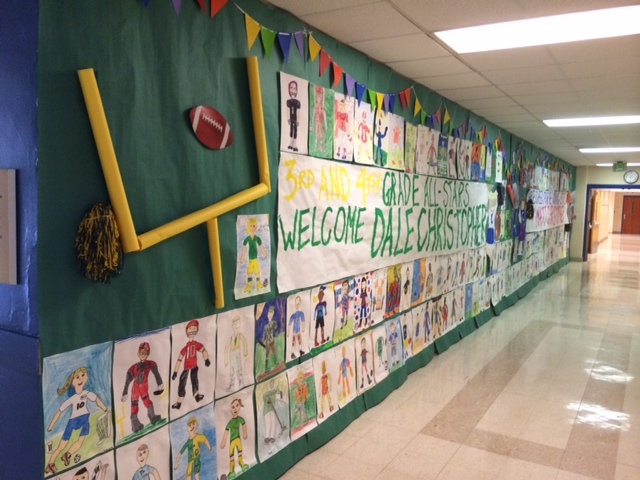 Equipment: Dale’s needs are simple: a microphone, a table large enough to hold a typewriter, books and other mementos and an area to hang two banners. 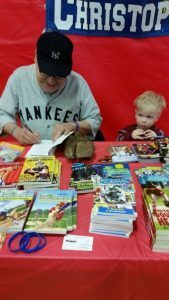 Book Sales and Autographing: Discounts on books can be made available with substantial notice. There is no charge for autographing sessions. 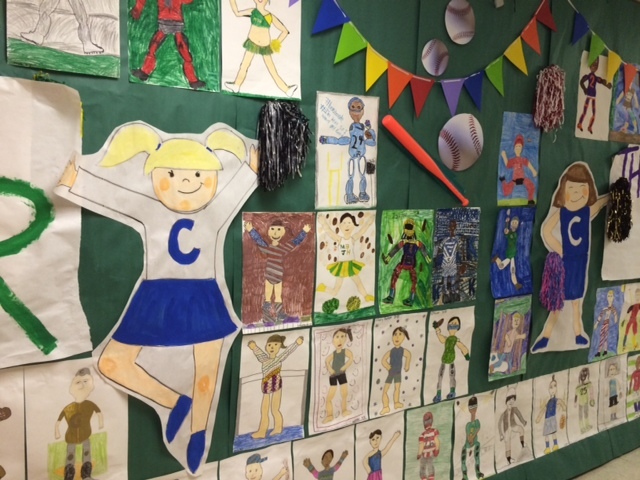 Some great work by the students at Crestline. Email us for more information about speaking engagements. 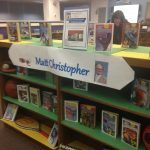 Click Here if you would like a classroom set of Behind the Desk with…Matt Christopher, by Dale Christopher (you will be contacting Dale directly for this order through our contact form) and a 50% discount on all orders of 20 or more books. 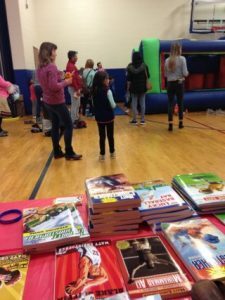 In what month are you requesting the school visit? 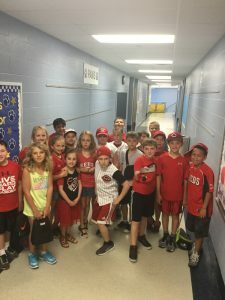 Approximately how many kids will be attending the visit?